At Benimussa Park, Sunday, from 5 May to 6 Oct. Release your inner animal at one of Ibiza's most exciting venues. The Zoo Project has been a firm and unique staple in the Ibiza clubbing scene for a long time. As a day-to-evening party, The Zoo Project truly embodies an open-air festival ethos, with music, performances, artistic displays and a special energy all taking place in a unique setting. The party also fully embraces its theme in both the setting and its authentic additions. A raving seal pit, a tree-lined pool area where you will find many great and many questionable interpretations of zebras basking in the sun and an array of artistic performers, dancers and stalls all await within the reimagined zoo. Most revellers throw themselves into the full experience and get the body paints and glitter involved to transform themselves into whatever caged creature lies inside. Make-up artists onsite can also get you ready to indulge in the animalistic antics. With five arenas, various food stalls, an updated VIP area, a revamped BBQ area that includes healthful options, the newly refurbished Rabbit Hole indoor club with a bespoke Funktion-One sound system and some of the best-value prices, as well as a recently added Roller Disco in the Mandala Garden, The Zoo Project ranks among the most original and exciting parties on the island. Since this party is also known as a launching pad for many future superstars, having been instrumental in the careers of Jamie Jones, Seth Troxler, Dyed Soundorom and Tale Of Us, the musical selection is always a treat here. The Zoo Project also has the added excitement of special unannounced guests. 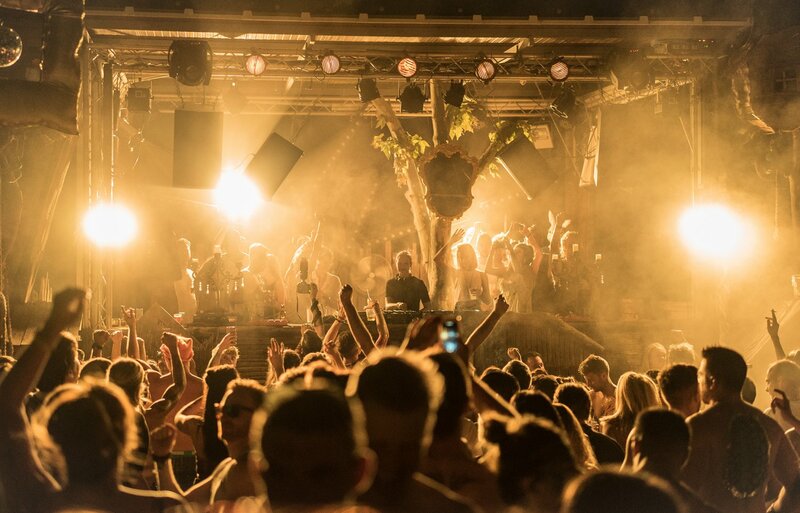 Past years have seen appearances by Ricardo Villalobos, Carl Craig, Luciano, Ben UFO, Stacey Pullen, B.Traits amongst the many superstar DJs, as well as tINI, Dana Ruh, Jacky and more, plus takeover collaborations such as Cocoon, elrow and Carl Cox. The wild party takes place on Sundays from 5 May to 6 October 2019. See below for confirmed line-ups and tickets. The calendar is updated on a daily basis, so check back in. Listen below and head here to subscribe to our Zoo Project Spotify playlist.